If you're looking to brighten up your smart home setup, you can't go wrong with Philips Hue lights ($179 on Amazon). These smart lightbulbs let you set lighting schedules, change colors to suit your mood—or your schedule, letting you wake up to energizing blue light and head to bed with a warmer tone—and can even detect when your smartphone comes and goes so they can light up to welcome you home. Hue is compatible with many smart home systems, including Apple's HomeKit for voice control via Siri, making it a good lighting choice for anyone. 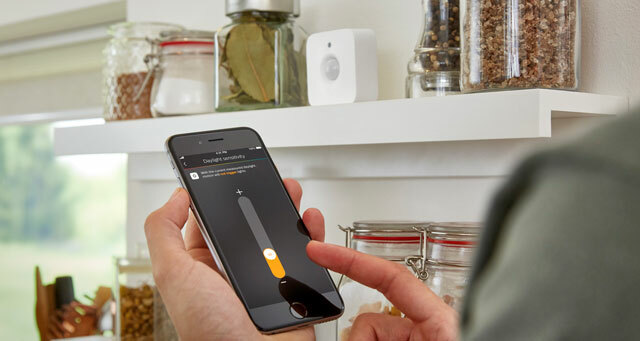 And yesterday, Philips has announced a new motion sensor that lets Hue tell when someone is in the room to turn on or off as needed—which means no more fumbling for a light switch or even your smartphone to switch on the lights. When the sensor detects movement, lights respond in a half second. You select which lights turn on and off as well as the color they'll have and how long they'll stay when the motion detector no longer sees anyone in the room. A daylight sensor means they won't turn on when they aren't needed. The sensors require no complicated installation. They run off two AAA batteries and connect to your network via Wi-Fi, so there are no cables to worry about. Just set it on a shelf, use a magnet to mount it to any metallic surface or mount it to the wall and ceiling. You can have up to 12 Hue motion sensors attached to a single Philips Hue bridge, which should be enough to automate the lighting in every room in the house. As with the bulbs themselves, you can configure the motion sensors to work with your Hue lights through the Philips Hue app. 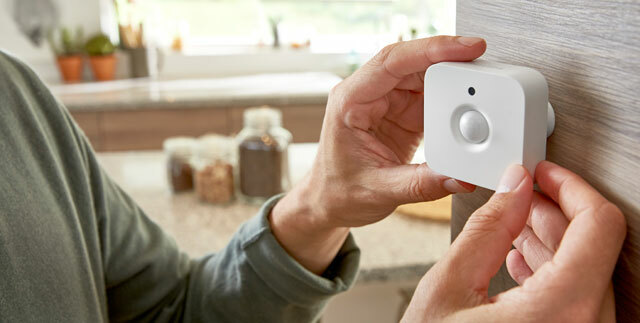 Motion sensors are a common feature in many smart home setups, and it's good to see them finally join the Hue lineup. Automated lighting provides both convenience and safety, letting you navigate your home without worrying about stumbling in the dark. Motion sensors can also be good energy-savers by turning the lights on only when someone's in the room to make use of them. While you can already set a schedule for Hue lights, no schedule is perfect and the motion sensor makes sure lights aren't on when no one's there to use them. In addition to the motion sensor, Philips has also announced new Hue bulbs which are brighter and have more vibrant blue and green tones. Both the motion sensor and the updated bulbs will be available this October from Amazon, Best Buy, Home Depot and directly from Philips. The motion sensor costs $39.99 while the new bulbs will be the same price as existing bulbs.